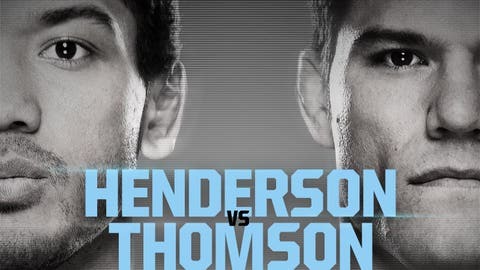 The UFC on FOX: Henderson vs. Thomson fight poster is in full effect. 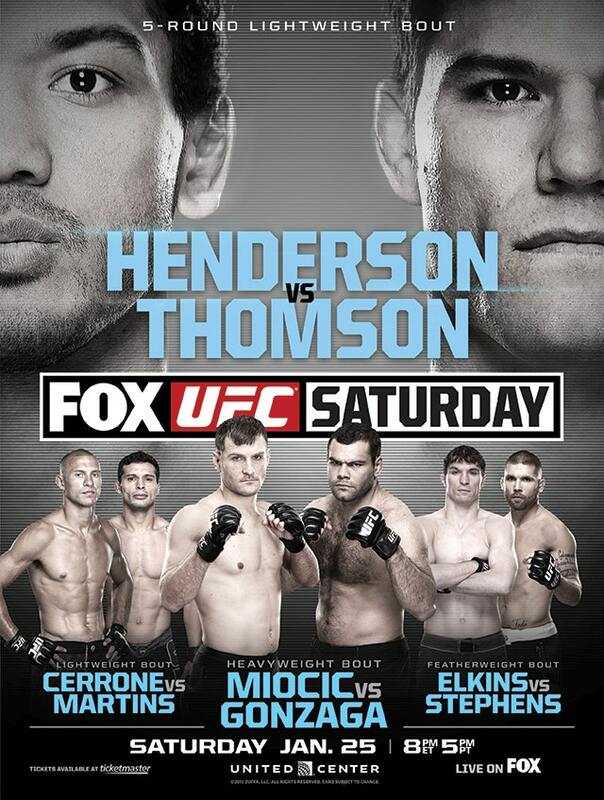 The UFC on FOX: Henderson vs. Thomson poster showcases nearly the full card, rather than just the main event. Former UFC lightweight champion Benson Henderson and former Strikeforce lightweight champion Josh Thomson are featured prominently, but the undercard guys get plenty of face time, too. Stipe Miocic meets Gabriel Gonzaga in the co-main event in what should be an exciting heavyweight bout. Then you have a lightweight battle between Donald Cerrone and Adriano Martins, a former Brazilian jiu-jitsu world champion who looked great in his UFC debut against Daron Cruickshank. The featherweight fight between Jeremy Stephens and Darren Elkins also gets some love on the poster.